Strengthen your company’s position on the industry and be among the strategic partners of the leading railway event in Central and Eastern Europe. 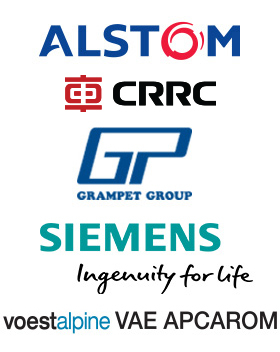 Companies from international railway markets as well as hundreds of business leaders will come together to pave the way and set the direction for the global railway industry. Your international platform: Industry professionals and exhibitors from Romania, Europe and further, are your future partners. Showcasing innovation: The innovative power of the industry is on full display, at every exhibition booth, every year. More than “just” products: With a conference, special exhibits, networking sessions, the accompanying program showcases international industry trends and solutions that will transform the market. Innovation and tradition: For 13 years, Railway Days has been an important industry platform for manufacturers, suppliers, distributors, service providers and partners in the railway industry. Together we will shape the future of railways. Interested to become a partner? Fill the form below and we will promptly get back to you with more details. How did you find out about our event?